City Branding: Does Your Welcome Wagon Have a Flat Tire? How does your city welcome new business? Does your welcome wagon have a flat tire? 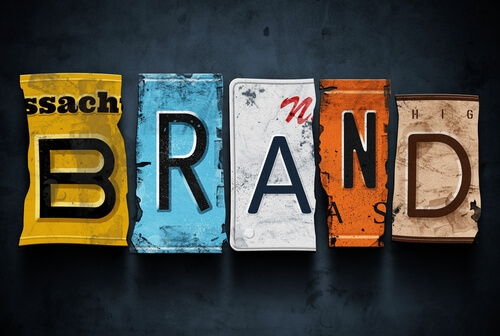 When I think of a community’s “brand,” I do not think of the taglines or marketing slogans that mayors and economic development directors mention in speeches or marketing materials. I think of the stories I’ve heard from other business leaders and the perception these stories project. Do the stories affirm a welcoming approach to new business, or affirm that a municipality is uncooperative toward new business? When after 20 years we said goodbye to the city in which we had done business, we did so without regret. Our move was to an office condo; an investment in a neighboring municipality where the mayor and administration were reportedly business-friendly. Did we receive a letter of welcome? A personal visit from the mayor? Acknowledgment of our choice to move into this community? Respectfully, we pointed out to the mayor and finance director that while we would file our form and pay our taxes properly, we weren’t made to feel welcome. Moving into this new city was our choice; a choice we made from many viable options. We are a new business moving into (name removed). We are very excited about our move as we have purchased our new location and are no longer leasing. It was rather discouraging to have received your letter “advising” us on the tax rate and how we needed to get set up with the tax authority. To us, there was no better way to say you only want us here for our money. I guess there is no Welcome Wagon here. Please read my attached letter and perhaps you can provide other new businesses with a true “Welcome Letter”. The same information worded slightly differently can have a completely different affect with a new business. Apologies were made; changes we suggested to welcome new businesses were immediately integrated into the city’s communication practices. We’re good neighbors. We don’t regret helping change the flat tire. I understand the need to do business and run a city efficiently; however, relationships matter. Municipalities that view businesses as bank accounts instead of community assets are creating a perception that runs contrary to whatever investment has made in branding and marketing. Do you want to positively brand your city or town, and influence the business-friendly perception of your municipality or region? Walk the talk. Every day, millions of businesses have to prove to their customers that their words align with their values, and their actions align with their words. Your city has to prove its value every day to the businesses who chose to do business there. Show them, don’t just tell them. Do business the way the business community does. Nurture trust, earn respect. Every city can tell a great story about why it’s great to live and do business there. Not every city lives up to the story they tell. Be a brand ambassador that helps the city live up to its promise. It only takes a few minutes to to do the right thing and make a new business feel welcome—throughout every office and department. Don’t start with requirements; start with how you will make your customer—the business owner—feel. Each staff member and employee is a city’s brand ambassador, and must be fully aware of how their interactions with the community impact that perception. Start by introducing yourself, and just saying hello. Welcome new businesses into your community as you would like to be welcomed yourself. You might just get some help changing that flat tire from a new neighbor.